Instead to manage only some most usual and popular currencies, you can use all existing 196 currencies in the world. 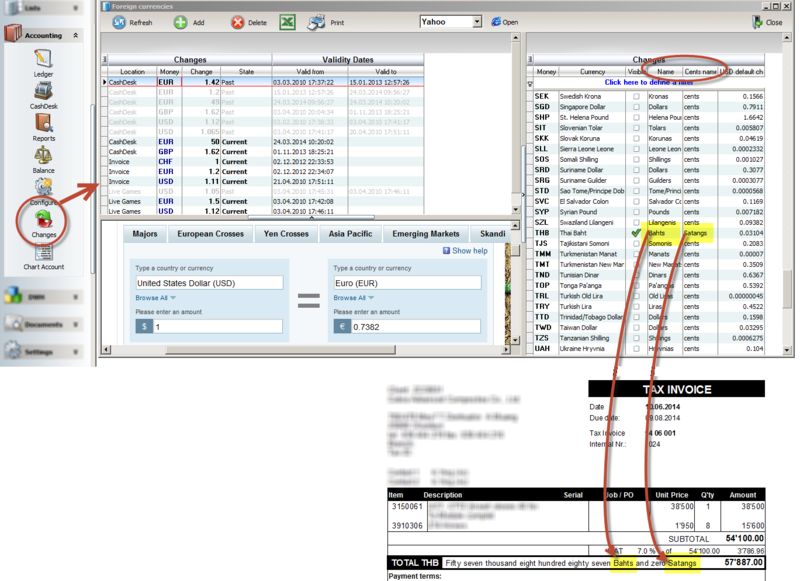 Additionally, if you need, cash desk accounts and invoices can have different changes values. 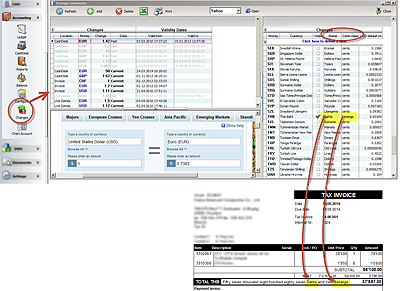 Reports can print your amount in words as show in the print screen.